Имате въпрос към Hualien 5FM Homestay? Hualien 5FM Homestay е предпочитан както от пътуващите по работа така и от туристите заради качествения и удобен престой, който предлага квартал семейно забавление, разглеждане на забележителности, плажове на Хуалиен. Разположен само на 0 km от центъра на града и на 10.4 km от летището, този 2-звезден хотел привлича всяка година множество посетители . С удобното си местоположение хотелът предлага лесен достъп до всички градски забележителности, които задължително трябва да се видят. Hualien 5FM Homestay прави всичко възможно гостите да се почувстват удобно. Затова хотелът предоставя най-добрите услуги и удобства. Най-важните съоръженията на хотела са безплатен WiFi достъп във всички стаи, ежедневно почистване, пощенски услуги, таксиметрови услуги, билетни услуги. Влизайки в една от 5 уютни стаи, ще забравите за ежедневния стрес с помощта на удобства и съоръжения като телевизор с плосък екран, достъп до интернет (безжичен), безжичен интернет достъп (безплатен), стаи за непушачи, климатик в някои от тях. Освен това в хотела можете да се възползвате от множество предложения за приятно прекарване на свободното време. Hualien 5FM Homestay е най-подходящото място за Вас, ако търсите качествен хотел в Хуалиен. The staff were extremely friendly and the hospitality of the place was exceptional. The facilities provided were also excellent (with microwaves and tea facilities). However, the place does look slightly dated and the place is slightly dark, but otherwise it’s a wonderful place to stay in. The owners are really helpful and friendly. They take the initiative to introduce the good food and where to go in Hualien. The room is really spacious and modern and clean! I love it so much! The best homestay I have ever been to in Taiwan. It's a homestay with the owner and kids living in. Overall is great, with the owner being informative and suggesting us to go with carpool from Hualien to Kenting at a super low price. (definitely worth the try.) But, if you are carrying huge luggage, I will not recommend this stay, as you will have to carry it up to level 3 for 2-4pax room. the 6pax room is located at level 2. the steps are long. Fantastic! My family and I had a great time here. Clean, big and nicely decorated room for 4 of us, with comfortable beds. The hosts, Jane and family were very friendly and helpful. They recommended nice places to eat in Hualien. Will introduce this place to friends and family. 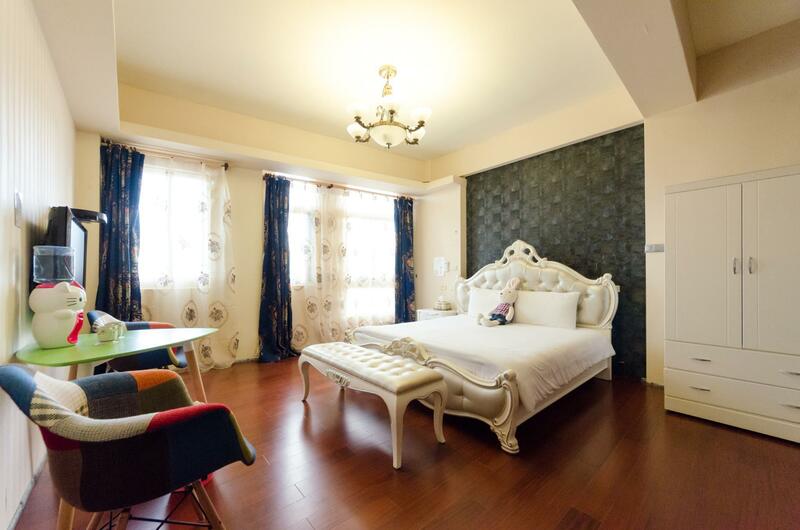 The place and atmosphere make people feel comfortable to stay. However, there are insects bite our hands and legs, although not every bed has the same problem. No lift provided for those getting higher room but it only has two levels. 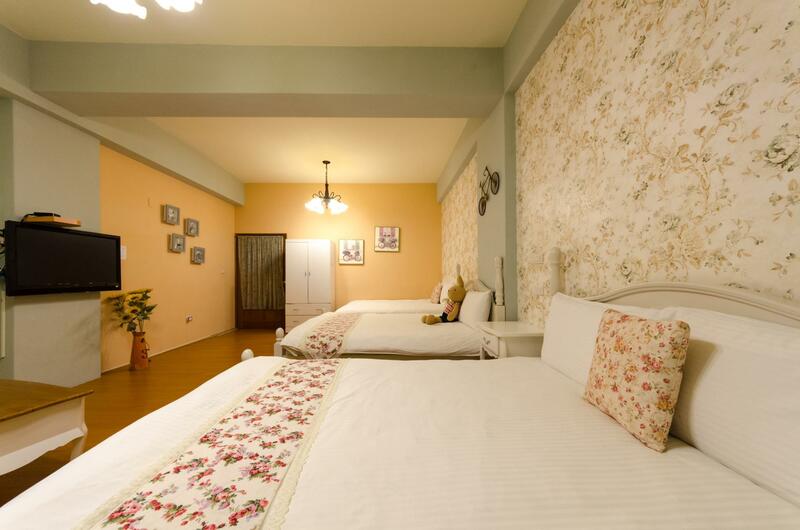 The rooms are very spacious, quiet, comfortable and clean. The room also quit large in area. The bed was very comfortable. Staff is very friendly to guide u to looking some delicious food around the hotel and the best place must be visit at hualian. Nice experience and have a great night in this hotel. High Recommend to Malaysia Visitor. Great value for money, room is very clean but a little old room. Room is spacious and clean. Value for money. Overall this homestay was good, rooms are big and clean, is just that the bed is a bit too hard. Not to mention the owner are very very kind ! They are very willing to show us the way around Hualien and also did share us their travel experience overseas! The homestay located right opposite a shopping mall, family mart and besides it are self service dobi and a breakfast shop. We had a great stay at 5FM homestay, even after we changed our plans twice to stay longer our host was so helpful with finding us places to stay, helping out with our travel plans to the south, showing us restaurants, couldn't have asked for a better host!!! Hotel owners are quite warm and really care about visitors; Love the local Mashu and restaurants recommended; The driver recommended is also quite satisfactory. All in all, I'm quite satisfied with my stay in the hotel. Got upgraded to an 8-man room from our 4-man room booking. Female owner was very informative and motherly. Location very near to a shopping mall. Owner is very friendly and sharing a lot of information with us. Happy a great talk with her. Only lack is parking no so convenient. The lady boss looks fierce and strict.